Postural Integrated Therapy is a truly integrated approach to biomechanical therapy. It combines a comprehensive array of treatment modalities to address soft tissue, joint bio-mechanics and nervous system function to speed up recovery, restore optimal function and improve performance. Postural Integrated Therapy providers perform a thorough examination of biomechanics and function, comprehensively examining soft tissue, joint and nervous system function. Chiropractic Joint Manipulation Focuses on improving the function of your spine and pelvis, helping your nervous system and muscular system to function at its best. Medical Acupuncture Unlike traditional acupuncture which typically uses points along meridians, dry needling targets anatomical structures including muscles, ligaments and joint capsules that are the underlying cause of muscle and joint related conditions. Active Release Techniques (ART®) is the GOLD Standard of Soft Tissue Treatment. ART is a patented, state of the art soft tissue system/movement based massage technique that treats problems with muscles, tendons, ligaments, fascia and nerves. It is a procedure that many top competitors utilise, including Ironman® champions, and other professional athletes. Applied Kinesiology (Proprioceptive Muscle Testing) examines the patient’s nervous system and identifies any and all weaknesses which make you vulnerable to injury. This diagnostic technique system based on anatomy, neurology and physiology uncovers the best solution for that patient at that time to correct any dysfunction within the neuromuscular system. Instrument Assisted Soft Tissue Mobilisation (IASTM) is a new range of tool which enables clinicians to efficiently locate and treat individuals diagnosed with soft tissue dysfunction. IASTM is performed with ergonomically designed instruments that detect and treat fascial restrictions, soft tissue fibrosis, chronic inflammation, or degeneration. 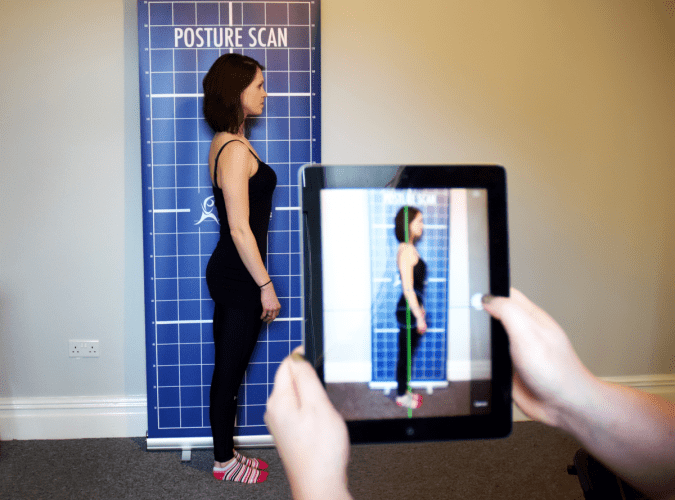 Revolutionary Digital Postural Analysis using Posture Pro Digital Scanning Software, quick and effectively identifies postural distortion patterns. Functional Injury Rehabilitation involves improving strength, conditioning and coordination of a dysfunctional area, allowing you to recover and return to full function faster and perform better. Kinesiotaping is a specialised taping method for therapeutic and rehabilitative treatment that helps reduce pain, improve performance, prevent injury and promote lymphatic flow. The taping can be used on its own, but we often use it in combination with other methods for treating. Orthotics are custom made inserts that help to treat biomechanical foot disorders to alleviate foot pain and knee pain as well as back pain.